Ensuring that moviegoers won’t have to wait too long between live-action remakes of its classic animated films, Disney is charging ahead with casting for its upcoming live-action remake of Beauty And The Beast. It’s already cast former child wizard Emma Watson as Belle, the precocious French peasant at the center of the story. 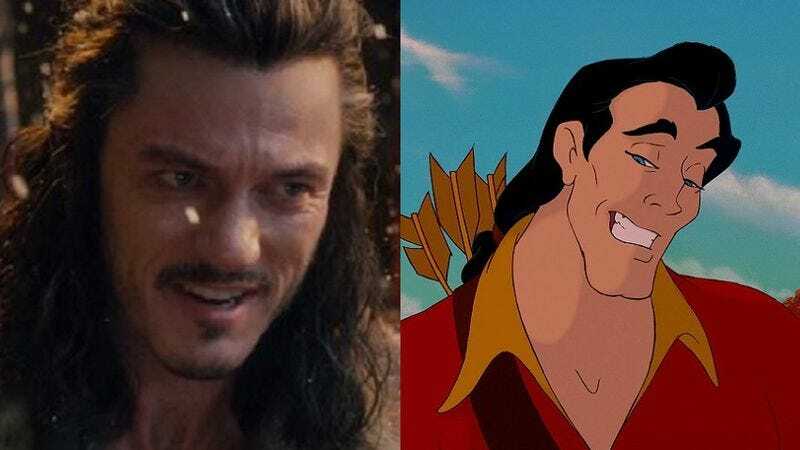 Now Variety reports that the studio is in negotiations with Luke Evans for the role of Belle’s spurned suitor Gaston, leaving the Beast to be played by some thankless actor in a furry bodysuit. Evans has recently played several high-profile parts in successful fantasy films, including Bard in the second and third Hobbit movies, Dracula in Dracula Untold, and the villain in Fast & Furious 6. A role as Gaston would fit in quite neatly alongside these other illustrious cash grabs, and, if he does a good job, maybe Disney will cast him as Scar when it gets around to making a live-action version of The Lion King.